Homes and commercial buildings use 40 percent of the energy consumed in the United States, most of which is produced by fossil fuels. Residential homes use hundreds of gallons of water every day and are responsible for polluting the environment with everything from pesticides to animal waste. It’s a tremendously wasteful and unsustainable way of living that can easily be transformed with a few affordable and easily adaptable lifestyle changes. Living “green” is not only good for the environment, but it’s a more cost-effective lifestyle. It’s healthier for you and better for the environment. Take a look around at all the paper you accumulate just from incoming mail, with things such as bills and magazines and junk mail. You can eliminate a tremendous amount of this paper waste by opting for electronic bills and statements from creditors and health care providers, and by ending the stream of unsolicited offerings from credit card and finance companies. In most cases, all you need to do is go online and request paper invoices from your creditors. You can also opt out of all those prescreened credit offers by calling 1-888-5-OPT-OUT, a number that’s managed by consumer reporting companies. The benefits to the environment are substantial. Fewer trees are chopped down and destroyed. Less plane and vehicle exhaust is expended and less industrial ink is used, all of which is good for the environment. Volatile organic compounds (VOCs) can be found in everything from paints and carpeting to furniture, which creates a toxic indoor environment that can damage your respiratory and central nervous systems. VOCs are some of the most damaging pollutants to the environment but their toxic effect on indoor atmosphere often goes overlooked. There are many VOC-less alternatives on the market today you can use to create a healthier home environment and reduce your personal impact on the environment. Lighting usually isn’t the first thing that comes to mind when you think about going green. But it’s easy to reduce your impact on the environment by switching to light-emitting diode (LED) and compact fluorescent lamp (CFL) light bulbs. These far more sustainable means of lighting use approximately 75 percent less energy than standard bulbs. The best news is that they last much longer, which makes them a highly economical choice for consumers. If you live in an older home, chances are there are gaps in your doors and windows that allow much of the heating and cooling you pay so dearly for to escape. It’s expensive for you and wasteful for the environment. A little weather stripping, a very minor investment at about $5 for a standard roll can save you a tremendous amount of money and be installed throughout your house in an afternoon. Leaking toilets and faucets waste a lot of money and they’re annoying. 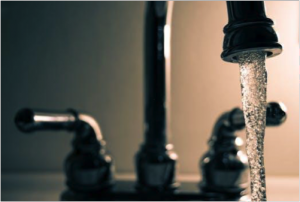 Many households waste tens of thousands of gallons of water due to leaks that go unnoticed or ignored. Left unaddressed, leaks can do damage to your plumbing that can cost thousands to repair. And they drive up your monthly water bill, another example of unnecessary waste. Fixing a leaky toilet isn’t as difficult as you might imagine. Often it can be corrected by fixing the flapper or fill valve. If you’re in the market for a new house, keep an eye out for homes that are adapted to environmental responsibility. Look for solar panels, Energy Star appliances, dual pane windows and energy efficient heating and cooling units. Most green homes in Fort Collins sell for an average list price of $424,900. Attention to detail and a relatively minor investment can save you thousands of dollars a year and reduce your environmental footprint. Visit EPA.gov for more information about how you can live more green and what to look for in an eco-friendly home. It’s a wise and cost-effective investment.